French is the official and most widely spoken language of Monaco. 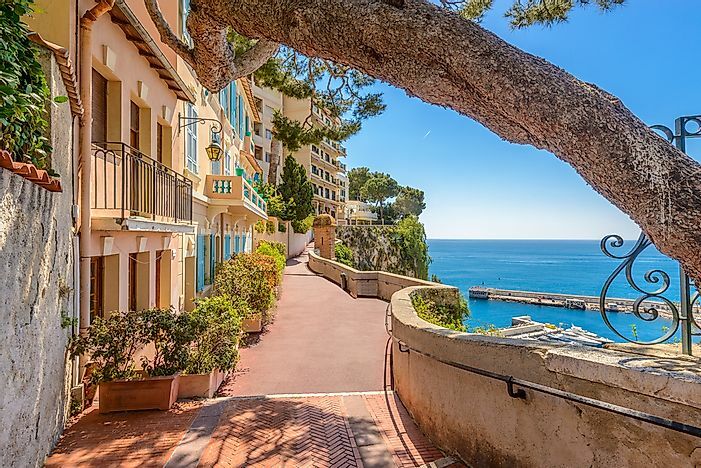 A typical street in Monaco. The Kingdom of Monaco treats French as the official language of the nation. Monégasque and Occitan are the two traditional languages spoken in the country. The former served as the national language of Monaco in the past. English and Italian are spoken by certain sections of Monaco’s population who belong to English or Italian speaking communities, respectively. The foreign languages also serve as a medium of communication between people of different ethnicities. French is the official language of Monaco. The popularity of the language in the country is a reminder of the great influence of France on the politics and economy of Monaco in the past. French is spoken in every sphere of life in Monaco. It is also the language of government administration, business, education, and media in the country. The Monégasque language is regarded as Monaco’s traditional national language. The language is similar to Italian in many aspects and is considered as a dialect of Liguarian. Only about 21.6% of the population of Monaco who are mostly ethnic Monégasques speak this language. Constant efforts have been to revive the language whose use is steadily decreasing. By the 1970’s, the language was on the verge of extinction but several projects launched by the government of Monaco helped to improve the status of the Monégasque language. Schools in the country now teach this language and street signs in Monaco use both French and Monégasque. Occitan is also a traditional language that was spoken by a considerable number of speakers in Monaco but currently is spoken by only a small population in the country. Italian is a popular language spoken in Monaco. It is the native language of the Italian nationals living in the country. The Italians constitute about 19% of the country’s population. The language was also the official language of Monaco between 1815 and 1861 when Monaco served as a protectorate of Sardinia. Some members of the country’s royal family also speak Italian. English is mainly spoken by the nationals of UK, US, and Canada living in Monaco. The language is also spoken by a large number of English speaking tourists in Monaco. Some members of the royal family also speak English.